Rachel Joyce on her debut novel "The Unlikely Pilgrimage of Harold Fry"
The New York Times describes Rachel Joyce’s novel The unlikely Pilgrimage of Harold Fry as “not just a book about lost love. 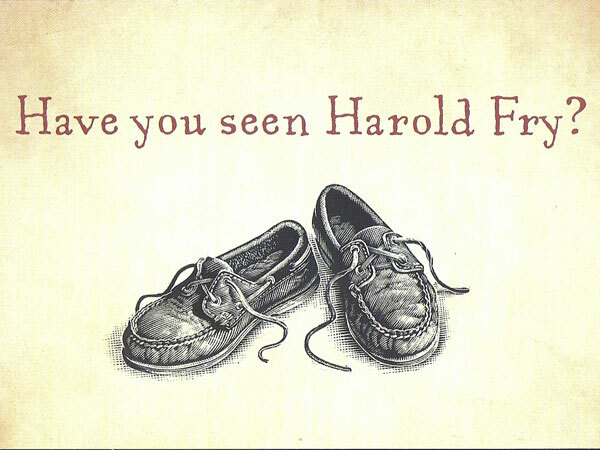 It is about all the wonderful everyday things Harold discovers through the mere process of putting one foot in front of the other.” Harold Fry is a simple man, with a simple life who goes to mail a letter. And then, he just keeps going, walking across the breadth of England. Last week, the long list for the Man Booker prize was announced with Joyce’s debut novel included. Our very own Mike Duncan and Jean Stilwell spoke to Rachel Joyce about the nomination and what had inspired her to write her novel.